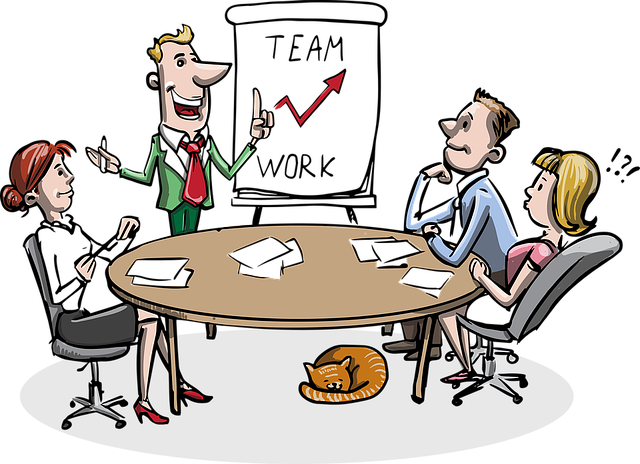 Effective team communication skills starts by instilling ownership. . .
Creative people, like you and me, want to feel a sense of ownership in our day-to-day work lives. We want to "buy in" to the system and the team within which we work. This "buying in" is initiated by good communication. . . the way we communicate the ideas, strategies, and frameworks by which we work. As a leader, effective communication means knowng what makes the individuals on our teams tick on a personal level. Then begin the dialogue by establishing a working relationship on that level. Large corporations spend significant time, resources, and energy to establish relationships like these,but for small business teams lacking the resources time and energy must make up the difference. The rewards are worth it. . .
On small teams, you can easily make meaningful personal connections with your fellow team members because you must work closely together to accomplish your goals. These are real principles of good team building and the result of effective team communication skills. By keeping these principles in mind while communicating collectively with your team, or individually with the team members you can develop deeper relationships and more effectively get your employees to "buy in" to your organizational concept. For us, the shared sense of ownership in the workplace truly empowers because you feel the swell of pride when you realize your team and organization represents your individual ideas. Your identity doesn't have to make adjustments for the actions of your organization. This concept begins with the words you use individually, at the team level, and an organizational level. Good, effective communication unlocks true organizational performance. How do we ensure effective communication on our team? And how does our communication impact how people perform? In a team setting, communication skills come at a huge premium. Studies show, through good communication we get more done, more effectively, and quicker that when the lines of communication break down. Remember effective team communication skills enhances your leadership skills. By making deeper, more meaningful, connections with more people on your team and nurturing those connections you begin implementing team communication skills. Using these skills you'll inspire more, higher quality work from individual team members, make more connections, and leverage the collective value of your entire team. With open lines of communication, information flows back to you like a river because you find yourself more connected to the sources of the feedback and "centers of influence' within your organization.